Our first Paddle Art Contest was such a success and many of you asked when we would do it again. 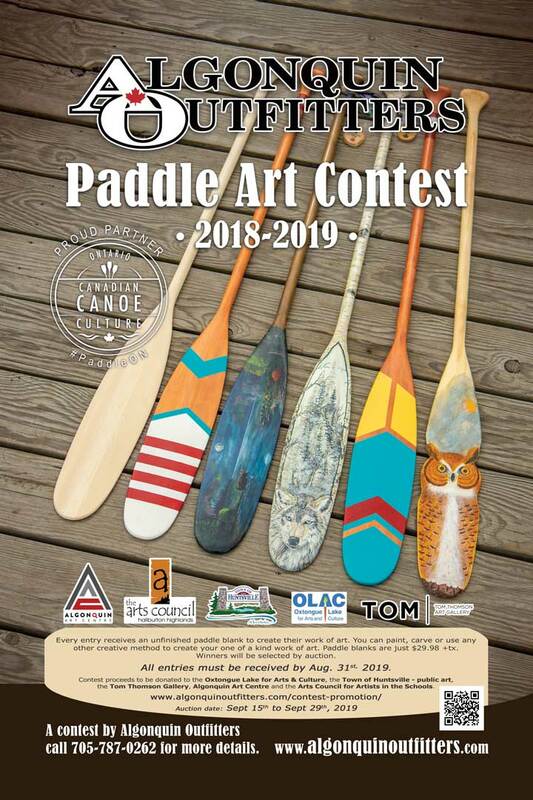 Algonquin Outfitters is happy to announce their second Paddle Art Contest. 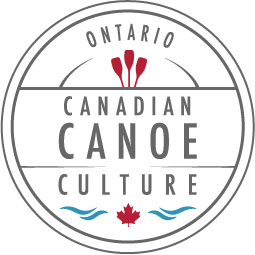 Help us celebrate Ontario Parks 125th anniversary (1893-2018) and our love for paddling and art in the great outdoors. The Algonquin Outfitters Paddle Art Contest connects a couple of things in local culture that we love, paddling and art. We’re hoping again to have over 100 paddles created for our contest that will run from June 1st 2018 until Aug 31st 2019 . To enter the contest all you have to do is visit an Algonquin Outfitters store (paddles will eventually be available at all of our stores but right now they are already available in Huntsville and Oxtongue Lake.) There’s a $29.98+tx entry fee and for that we provide the canvas (an unfinished 57″ wooden paddle) for your masterpiece. It’s your job to create something spectacular. It’s not limited to painting, you could burn an image or design into the paddle, or carve it into something unique, it’s totally up to you. We can’t wait to see what creative designs you come up with this time around. Q: Must I use the paddle blank provided by Algonquin Outfitters. A: No you don not have to use the paddles provided but registration is still $29.98+tx. If you would like to use your own material to create your paddle and ship, or drop it off at, one of the Algonquin Outfitters stores we’ll be offering online registration soon. With your in-store registration you will receive an unfinished 57″ wooden paddle. During the creation of your paddle you may use any style of art you wish; painting, burning, carving, sculpture, etc. The use of extra material to create your finished paddle art is also allowed, as long as some part of it is still a paddle. The only limitation is your imagination! Complete the Completed paddle submission form and securely attach it to your paddle. Return your completed paddle art to any Algonquin Outfitters location before the contest deadline of Aug 31st 2019. If you wish to ship your paddle please package and protect it to insure safe delivery to the address below. Complete the form below to registration your completed paddle entry in our contest. Please attached a high res JPG photo(s) showing your paddle and it's creation. Every paddle has a store, tell us what your paddle means to you, why you created it, what is it's theme, etc? If you have written an article about your paddle on your website please provide the direct link to it. If not then just provide the link to your artist website. If you have posted about your paddle on your channel please provide the direct link to that post. If not then just provide the link to your artist social media channel. -- Please Select --Yes, please place a $30 credit on my AO account.Yes, please mail me a $30 AO gift card.Yes, please donate $30 to these charities in my name.No, I would like to pass on this offer. We would like to know more about you and your art, please provide some more information about your art, etc. The final step (and how we choose our winners) will take place between Sept 15th and Sept 29th 2019 with an online auction and live event at the Algonquin Theatre on Friday Sept 27th 2019, held to raise funds for our supported charities. Auction details will be provided later. Prizes from our prize pool (a minimum of one prize will be added for every 25 paddles received) will be awarded to the artists of the paddles that raise the most at auction. Last year one of the most creative paddles we had entered was the AO Joe, electric guitar paddle by Christopher Dutton. Don’t be afraid to think outside of the box when creating your Paddle Art. The only rule we have is that the final piece of art must contain a paddle in some way.